We took part in this incredible workshop with the inspirational Gemma Nealon. It offered me the opportunity to be in a better place and completely transformed the whole way I thought about birth _ it was educational & changed my whole experience. Anyone that is expecting & interested in doing Natal Hypno- its the way forward!! DO IT!! It really works!! *Private workshops are available via Skype or at home. *Group workshops start at 9am and finish around 5pm. *The price of the workshop is per couple. *You will receive further details of the workshops and a hypnosis track to start using after booking your place. Preparing for a Caesarian Birth? I offer a workshop specifically designed to prepare you and your birth partner for Caesarian birth. You will learn tools to stay calm and relaxed, whilst letting go of any fears you may have concerning the birth so your baby can be born peacefully. It is possible to have a magical Caesarian birth! 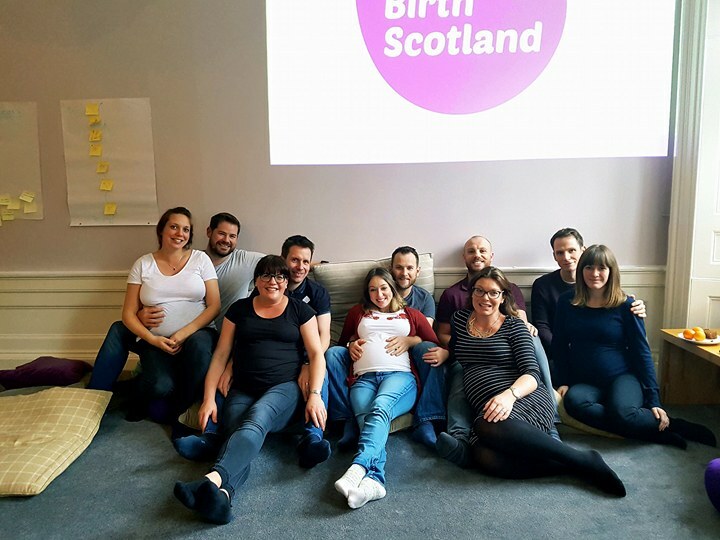 My midwife- led Hypnobirthing workshops cover Natural Pain Relief and Practical Birth Preparation from the Kings Manor Hotel in Edinburgh’s. My hypnobirthing workshops will dramatically increase your chance of having a natural birth, whilst totally preparing you for anything that could happen on the big day. They are suitable for all births from Caesarian to home birth. I am passionate about sharing what I have learnt from supporting hundreds of couples through labour and birth, because I know it works. Focusing on natural pain management tools and techniques – namely breathing, relaxation and self-hypnosis. You will learn: • How fear or anxiety can have a negative impact on your body during the birth. • How to quickly and easily reduce adrenaline associated with fear and anxiety in labour. • Natural ways to work with your body to reduce pain in child birth. • Self-hypnosis skills to overcome fear and increase your confidence and trust in your ability to give birth. • Effective breathing and deep relaxation technique • Rapid trigger techniques to enter deep relaxation. • Adrenaline release technique. • Ways the birth partner can help the mother-to-be achieve a deeply relaxed state before and during labour. Focusing on the practical ways to help you prepare both physically, mentally and emotionally for the birth. You will learn: • Be taken step by step through the birthing process from a physical as well as emotional perspective. • Understand how the body works best during labour and what you can do to help it. • Gain a clear understanding of the power of hormones and how you can work with them. • Key signs to indicate that the mother may be experiencing a rise in adrenaline and what the partner can do to reduce this. • Gain a clearer perspective on why fear has become such a major player in birth today. • Unravel the myths behind the beliefs which lead to so much fear. • Learn practical tools and techniques to help Mum work with her body in the most effective way. • Understand the use and power of massage, water and other comfort measures in labour. • Explore the most effective ways to work with the medical team supporting them. • A special session for fathers helps them prepare appropriate questions for the medical team and plan the best support and comfort measures for the mother. The price of the workshop includes 4 free Natal Hypnotherapy downloads and a personalised Resource Book which is only available to workshop attendees. Each couple is sent a pre-course questionnaire to fill out, to help me gain a clear understanding of your hopes, fears, and any specific issues. The class is then specifically tailored to the needs of each couple. Please note that whilst I am a qualified and practising midwife, i do not offer any midwifery advice or care as part of this service. Please refer to your midwife or obstetrician if you have any clinical concerns regarding your pregnancy, labour or birth. I am available for one-to-one (private) sessions in the comfort of your own home or via Skype. Individual sessions are ideally suited to couples who are less comfortable in group situations; circumstances that they would prefer to discuss in private; for those who are simply too busy to spare two full days or couples who live too far away to attend my workshop. Time is spent exclusively on the needs & experiences of only one couple. Furthermore, following workshop attendance I also offer Natal Hypnotherapy coaching on an hourly basis. This can be extremely useful to those who may want some revision nearer the time of birth, or those who have attended my workshop for their previous birth and are expecting again. By attending my workshops, a mother will benefit from learning how to: • Overcome any fear of birth she may have had. • Feel relaxed and calm at all times, especially in the lead up to the birth. • Increase her energy and well being. • Ensure good quality sleep. • Increase bonding with her baby. • Dramatically reduce the level of pain experienced in childbirth. • Increase her sense of being in control. • Reduced the need for intervention / drugs. • Increase her chance of having a calm, alert baby. • Enjoy comfortable breastfeeding. • Decrease the chance of postnatal depression. By attending my workshops, a father or birth partner will: • Have a better understanding of the birthing process. • Have the opportunity to discuss their fears, concerns and needs. • Enjoy watching the mother let go of her fears and learn to relax deeply. • Learn effective ways to support and help her during the birth. • Learn how to help her have the birth that is right for her. • Feel calmer and more relaxed about the forthcoming birth. My favourite thing was how much Xavier is able to be involved during the birth and to support me. He really feels like he knows what he can do now and not worried about feeling like a third wheel. I can’t explain how huge this is as he’s excited to be involved and that gives me a level of comfort that I wouldn’t have otherwise had. Also the self hypnosis techniques are simple so easy to practice and I’m already trying to apply them in other areas of my life which has been useful. All the information you’ve passed onto us has been invaluable and it has given me the confidence that whatever happens I’ll be able to handle it. We learnt that a natural and calm birth is possible. Everything was so interesting, informative and positive. We feel so prepared and ready now. Gemma is fabulous- so positive, encouraging and knowledgable. We loved it! Can’t wait to birth and put it all in to practice.. come what may!! Fantastic workshop and so down to earth & honest – highly recommend! I have really enjoyed my day and feel really positive & energised. Gemma’s medical training combined with her passion & belief in the impact of Hypnobirthing was hugely reassuring. She is enormously personable, welcoming and exudes an empowering belief in all her students. Thank you for your ongoing commitment to educating parents to be and changing misconceptions around childbirth. This is important and necessary work. You are doing a wonderful thing Gemma! As a worried expectant father, I learned so many ways to help my wife – as well as building my confidence to deal effectively with the medical team at the hospital. This course should be on the NHS. All expectant parents can benefit. So useful to have Gemma’s experience as a midwife in the NHS alongside her Hypnobirthing experience. The best part of the workshop were the hypnosis sessions and learning that the birth partner is not just a spare part. This is not hippy nonsense! Gemma you are amazing and your enthusiasm towards the course/techniques is inspiring. Very good teacher & am very glad to have had the chance to learn and take part. These are fabulous techniques for life. What fabulous anecdotes and delivery. It was practical and down to earth & so useful. Gemma is so approachable and never made me feel like anything was a silly question. Gemma is very passionate & that is clear. Knowledgable from lots of different angles, great ‘range’ of advice on all of labour & pregnancy. Would recommend to anyone. It is clear Gemma knows the craft and delivers the presentation VERY well. She is very friendly and open with loads of anecdotal evidence. Helpful that she has had such a broad experience in midwifery as well as in teaching. Good food & drink too! Gemma has such high level of knowledge and is able to present with such a positive view of birth with the balanced view of acknowledging medical necessity. I think there is such a benefit to being taught by someone who is a midwife but has also used Natal Hypnotherapy herself. We really enjoyed the workshop & feel that it will be very beneficial for us and for our baby to continuing practising Natal Hypnotherapy. Gemma has helped us boost our confidence; she is really good and empowering. Gemma is very positive about birth & professional yet approachable so we could ask anything. We both felt we learned a lot/got a lot from this course & will definitely recommend it others. So very enjoyable and informative course. THANK YOU. The most important thing we learnt was the relaxation techniques, and especially the help and support the Dad can provide. We enjoyed all of it. Gemma is clearly passionate about she does- enthusiastic presenter. Money well spent. Feel very positive about birth and my ability to have a safe effective birth. Gemma is very inspiring & knowledgable. Great that she has the experience as a practising midwife as well. She instills confidence. Gemma is brilliant! the course has made me feel calmer, and more confident about birth. Really glad we came! Feeling positive now. Superb, really inspirational and motivating. Gemma addressed our fears and doubts and helped to alleviate them through her workshop. Nick and I are really excited about the birth now. The best part of the workshop was seeing my parter feeling more in control and part of our baby’s birth. Gemma is really approachable and a very good teacher. I am feeling so much more prepared and excited about our baby’s arrival. So pleased we decided to do this workshop with Gemma. Gemma is supportive, warm, informative and calm! So lovely to have a midwife background- very reassuring. Could not have been better. We both feel a lot more relaxed, calm and prepare for a lovely birth now. Fear can be conquered! The best part of the workshop was Gemma’s knowledge & positivity and the focus on natural techniques. It was well organised, comprehensive & a positive experience. It changed my whole perception of the role of the partner during the birth; I wasn’t clear what the role was before. Gemma was excellent, engaging, positive & enthusiastic. Gemma is amazing! Informative, open and welcoming. We felt at ease to ask questions. We now realise what everyone loves about it. Amazing informative day! We loved it! Gemma is excellent, enthusiastic and encouraging. The most important thing we learnt was breathing techniques and how to have positive experience despite intervention. When should I do the workshops? It is recommended that you attend the workshops between 28 and 36 weeks. Does my birth partner have to attend? Natal Hypnotherapy Workshops have been created in a unique way so they can be attended alone by a Mother if a birth partner is not available. Gemma believes that the best form of pain relief is support and therefore it would be most beneficial for you both if your birth partner attends the workshops with you. He or she will gain invaluable skills and knowledge to help you during labour. Birth partner’s attending Natal Hypnotherapy workshops normally report leaving feeling empowered and confident in their role as birth partner and mother’s feel reassured that they will be well supported when the special day comes. Will the workshops be tailored to our individual needs? Yes. Each couple is sent a detailed pre workshop questionnaire to fill out which will help me gain a clear understanding of your hopes, fears and any specific issues you may have; this information is of course completely confidential. The workshop is then specifically tailored to include the needs of each couple. In addition much of the work is done as a couple so you can create your own birth map, personalise suggestions, personalised hypnotic triggers etc. The teaching approach includes the use of PowerPoint presentations, videos, interactive sessions, group work, couple work and hypnosis relaxation sessions. Why do I need to do Natal Hypnotherapy workshops if I am already taking an NHS or NCT antenatal course? Natal Hypnotherapy workshops are designed not as a substitute but as an excellent complement to other antenatal courses. They approach birth preparation from a very unique angle, covering areas not touched on by most other courses. Natal Hypnotherapy workshops focus exclusively on what you can do to help yourself to have the most positive birth experience regardless of how or where you plan to give birth. 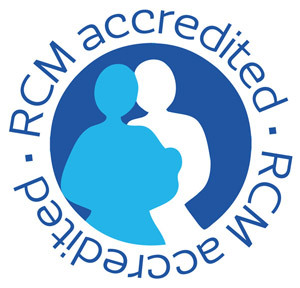 Most other antenatal education covers a broad range of topics from hospital procedures and protocol, breastfeeding, to how to wash and change a baby’s nappy. Gemma believes that whilst this is useful, on the Natal Hypnotherapy workshops you will learn dynamic skills to prepare yourself & your birth partner mentally, emotionally and physically for birth. The Natal Hypnotherapy workshops focus exclusively on what you can do to help yourself have the most positive birth experience, regardless of the type of birth you are planning. They teach you in-depth skills to prepare yourself mentally, emotionally as well as physically for the birth. Whether you want a natural water birth at home or are open to having an epidural in your local hospital, what you learn on these workshops will give you the confidence and ability to work with your body no matter what your birth choices are.